Whether it be a pitcher or outfielder rehabbing from shoulder or elbow surgery or injury, no greater sense of joy and excitement overwhelms them than the first day they can throw a baseball. For some, it is the highlight of last three to four months of hard work, dedication and determination to return to the sport they love and have grown up playing. For others, especially rehabilitation specialists such as physical therapists and athletic trainers, it can be the scariest. The first time our throwers start throwing, we always have that one question in the back of our mind…will they reinjure themselves? Although, we would never return someone to throwing without physician clearance, a satisfactory clinical exam, a battery of plyometric testing and proper screening of pitching mechanics, the possibility of re-injury exists. Before you start the throwing program that has been prescribed, it is important to consider some key components for the program to be properly executed. Lastly, effective education and communication must be approached for a thrower to fully return to a competitive state. 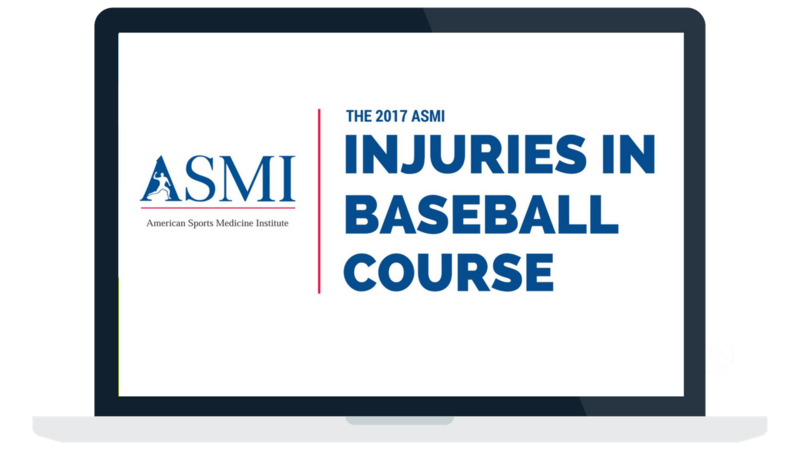 Over the last few years with adolescent baseball injuries on the rise, there have been many throwing programs available for free on the internet developed by baseball coaches and rehabilitation specialists on how to return to throwing following an injury or surgery. This can be concerning since key variables and questions may not be addressed in these programs. It is critical to analyze the who, what, when, where, why, and how. Who should I be throwing with? What types of pitches should I throw? Are my mechanics okay? How do I monitor my mechanics changes? How many days a week should I throw? How far should I throw? How hard should I throw? How am I going to monitor my velocity? Should I throw from the mound or flat ground? Can I complete multiple sets in one day? Should I throw on a line, crow hop or arc my throws? If I experience pain, what should I do? Continue or stop? These key components all need to be addressed because implementing a throwing program without proper supervision and knowledge of that program can be doing more harm than good. If you do not know the answers to ANY of those questions, you need to ask! Your doctor and rehabilitation specialist should be able to answer those questions and customized their answer to your unique injury and situation. For those of us who work in the clinic, we wish we could go outside and throw with our throwers. However, that is not always practical due to limited space, time management with other patients and lastly, insurance. As rehab specialists, we hope to keep our throwers to the very last day of their rehab. However, insurance does not always allow this due to a limited number of patient visits. In these cases, what do we do? There have been many times where throwers have been given throwing programs with no direction or insight on how to initiate or complete the program. Interval throwing programs are an essential part, if not the most important part of the rehabilitation process and should not be overlooked by any means. It’s what allows us to find out if our throwers are ready for advancement in rehab or if they can return to sport. Would we allow an ACL patient to initiate running without proper supervision or guidance? How about a soccer player with a sprained ankle? Would we allow them to initiate agility training without first assessing isolated linear and lateral movements? We know that return to play outcomes are much higher in ACL patient’s when supervised rehabilitation occurs. Why are we not doing the same for our throwers? These questions must be addressed and the interval throwing program must be supervised at all times. Players must be monitored so that velocity, volume, mechanics and pain can all be addressed if the thrower has questions, concerns or incidents arise during the program. The best way to make sure that all of this occurs is through education and communication. We need to sit down with our throwers and their parents/guardians to educate and direct them on the throwing program itself, how to initiate it and what to do if they have questions or concerns. The more detail and direction we can provide will ultimately lead to our goal of a safe return and their goal of returning to baseball. We also need to make sure that there is always an open line of communication between our throwers, their parents/guardians (if the thrower is an adolescent) and the rehab specialist. Our athletes must know that they can contact us any time if questions or concerns come up so that we can properly guide and educate them through the process. Injuries take a toll on our throwers not only physically, but emotionally and psychologically. Telling a baseball player that he or she cannot throw can be one of the most disappointing things they could hear. It is our job to make sure that we provide the highest quality of care to get them back to throwing quickly but most importantly, safely. The last thing that we would ever want to happen is to have one of our throwers reinjure themselves due to something so simple such as improper guidance, which could have easily been prevented through proper education and communication. The interval throwing program is something that must never be overlooked or taken lightly. It is such an important part of the rehab process that allows throwers to stress the surgically repaired or injured tissue in a safe and controlled manner. It also allows our throwers to become more confident as they move throughout the throwing program and their overall rehab. Most importantly, it gives us the objective information that we have been waiting to find out for the last few months which is, are they ready to return? Before starting an Interval Throwing Program, it is important to consider the key components of that throwing program by analyzing the who, what, where, when, why, and how. Lastly, effective education and communication can go a long way for the athlete. Steven Labate is a Certified Athletic Trainer from Pittsburgh, Pennsylvania currently working at Tri-State Orthopedics & Sports Medicine. In 2012, he graduated from California University of Pennsylvania with a Bachelor’s Degree in Athletic Training and in 2014 obtained his Master’s Degree in Exercise Science from South Dakota State University. Throughout his career he has worked with athletes and non-athletes of all ages, levels and sports. Steven specializes in the assessment, treatment and rehabilitation of shoulder, elbow and knee injuries with an emphasis in overhead athletes, primarily baseball pitchers.